There’s quite a few tidbits in this article. 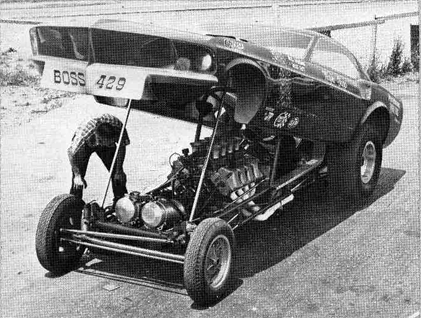 What Mercury’s racing budget was going to look like. 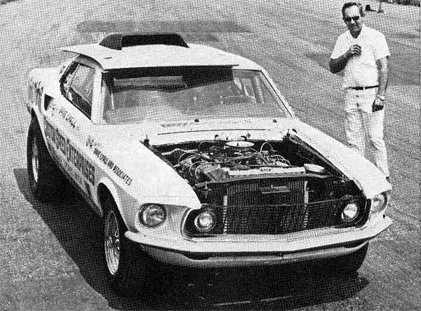 Obviously we’re seeing the beginning of the end of Ford’s racing involvement. 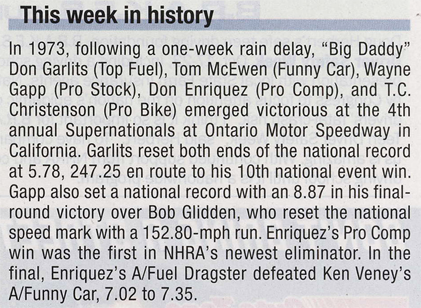 There’s a mention of ‘AHRA Standout Wayne Gapp’. You know that guy, right? Lastly, the 351 Cleveland. For a variety of reason I really like this engine. 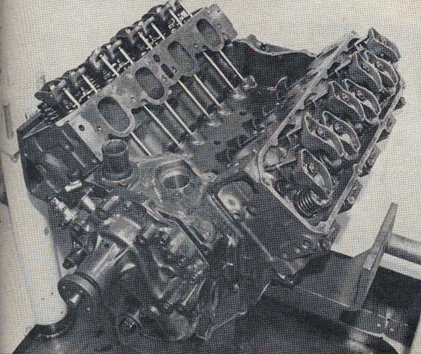 My favorite part of the article is the comparison of the 351 Windsor head vs. the 351 Cleveland 2V head vs. the 351 Cleveland 4v head. BIG ports. 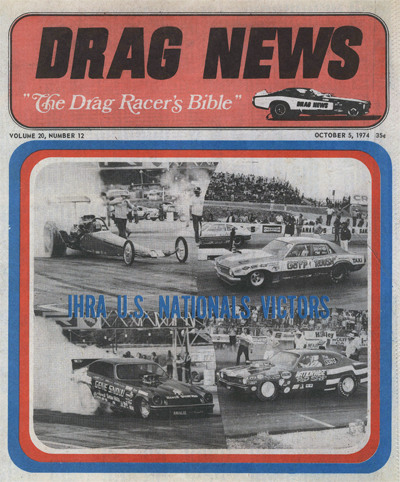 THROUGHOUT LATE 1968 AND INTO THE EARLY SPRING OF 1969, RUMORS RAN RAMPANT IN PERFORMANCE CIRCLES concerning the future (and non-future) of Lincoln-Mercury Division’s racing efforts. 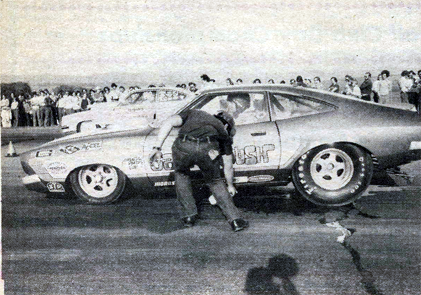 One of the strongest reports had it that Mercury would drop their NASCAR racing efforts effective with the beginning of the 1970 season, meaning that the proud Merc banner would not fly at Daytona ‘7·0, and that such L-M circle track greats as Lee Roy Yarbrough and Cale Yarborough would have to seek seats behind different marques. Sadly, these rumors could not be refuted by higher-ups during a recent trip to division headquarters. 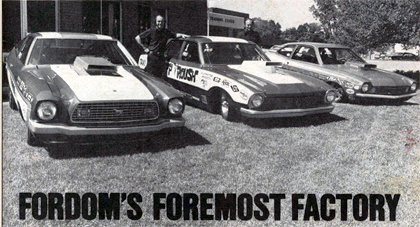 The next rumors that flowed in under the door purported that all Mercury activities in performance areas would cease for ’70; i.e., such drag racing names as Nicholson and Schartman would no longer be listed on Mercury performance brochures (which would themselves cease to exist) and that “Dyno” and “Fast Eddie” would be making new deals with other performance camps. Well, don’t you believe it! 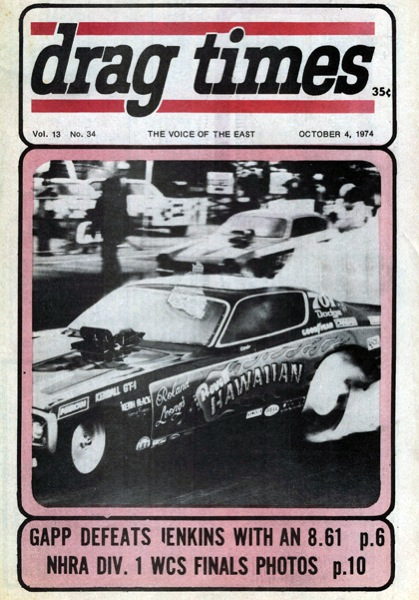 As of this writing – in early JuneMerc’s drag racing activities and plans for the new year are still very much alive, with Schartman, Nicholson and AHRA standout (and FoMoCo engineer) Wayne Gapp, still very much in the hi-per picture. Canted valves are immediately obvious upon cracking the rocker covers. 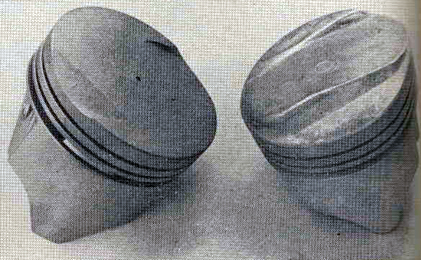 Stamped steel rockers pivot on sintered iron fulcrums of 4V head and aluminum fulcrums of the 2V. 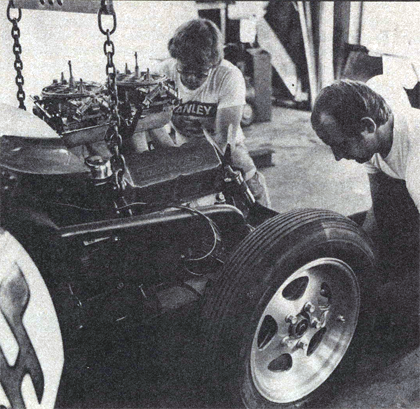 Not only is Mercury going ahead with performance plans for the drag racing world, but the racing types in Dearborn are all a-twitter about a brand new canted valve mill that will be introduced shortly after midSeptember. 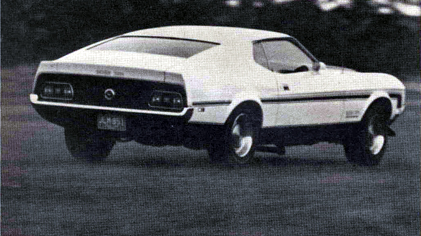 It.looks to be a real stormer in the growingly popular medium displacement field, and is already considerably whispered about as the “Cleveland” engine. Looking to see what all the loud whispering was about, we we were graciously admitted into L-M’s engine development labs during preproduction tests and we observed the following. The most modern Merc mill displaces 351 inches, and before you yell, “Hey, that’s not new,” read on. Mercury personnel have a ready reply to cut short that statement. The response goes, “The 351-C is so different from last year’s model that even the spark plugs are different!” And that’s the truth. 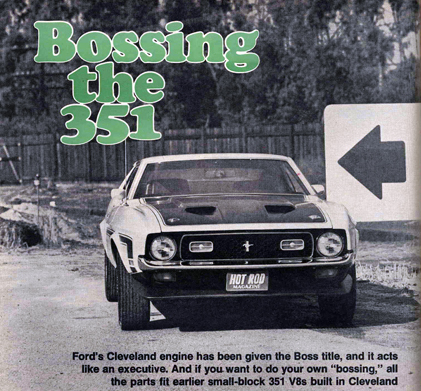 The 351-C heads (the “C” stands for their origin point, L-M’s Cleveland foundry, where the new heads are cast, and gives the name to the new “Cleveland” series) use 14mm plugs to allow use of the biggest valves possible and still retain sufficient cooling. But we’re a bit ahead of ourselves. Let’s look at the overall engine in a little detail first. 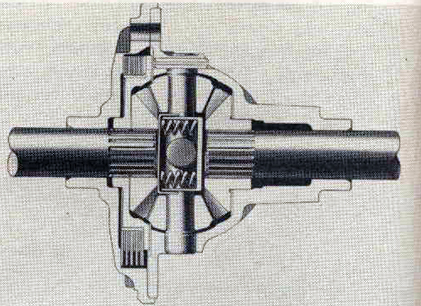 Nodular Iron crank is common to both the 2V and 4V configurations. Two bolt main design proved reliable in initial tests but can be changed to four bolt if necessary. 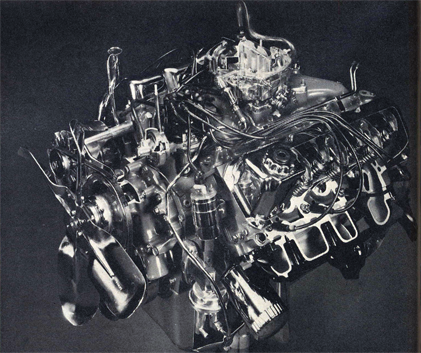 Immediately identifying the new open chamber design, while the 4V (4- barrel carb) head has the “advanced wedge” shape with approximately 72.5% quench area. Valve sizes for the 2V are 2.03 intake and 1.65 exhaust, while 4V readings are 2,19 and 1.71. The engineering part number on the 4V 351-C head assembly is D0AE-6049-G, while the engineering part number on the 2V head assembly is D0AE-6049-F.Another difference in the 2V and 4V heads is in the rocker arm fulcrum materials: for the 4V, they’re made from sintered iron, while those on the 2Y are of aluminum. Rockers are identical on both models, fashioned of lightweight stamped steel. 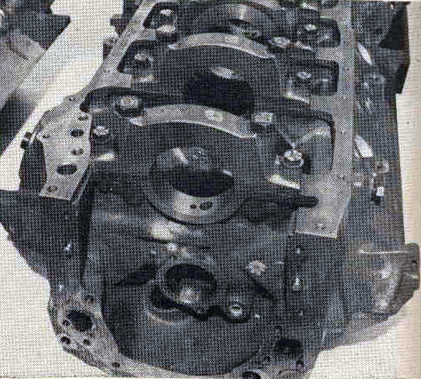 Getting back to the short block, we find that 2V and 4V models share a common crankshaft, made from nodular iron. Cranks in both t’C” engines are attached with two-bolt mains; although the block was designed so that four-bolt mains can be fitted a bit later, if needed. In testing so far, the twobolt design has shown no fatigue on the lower end of..either model, Pistons for both are cast aluminum and are holding up well in tests for either c.r. figure. 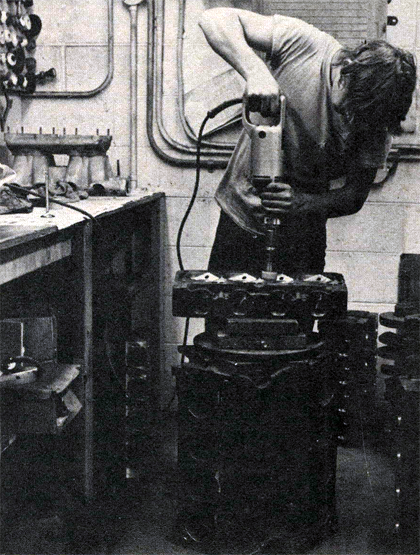 They’re fastened to the connecting rods by pressed pins. Rod bearing sizes are 2 5/16 inches and the crank’s five main bearings measure 2 3/4 inches. In the camshaft bores, the only grind tested to date are those designed to meet IMCO emission systems requirements, though we expect to have more to report from that department a little later on especially from after-market grinders within the performance industry. 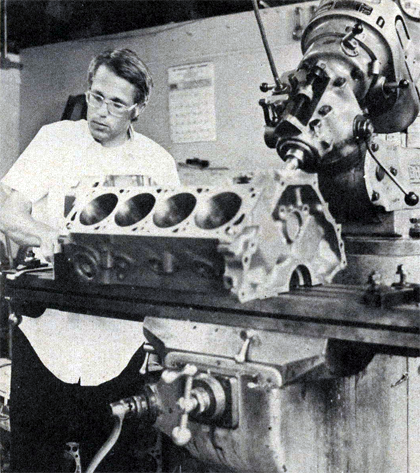 Oiling for the “C” engines is similar to that found on older “385” series models, using a conventional oil pump with oil forced to the rockers through tubular pushrods. The pump body is of cast iron. 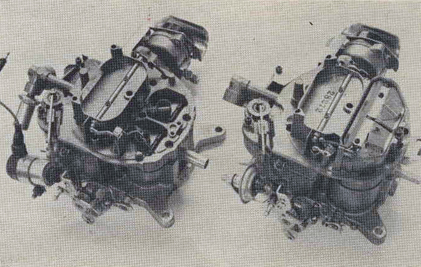 Firing of the 14mm plugs, at this point in the engine’s development, is by a conventional single point, dual diaphragm Autolite unit. 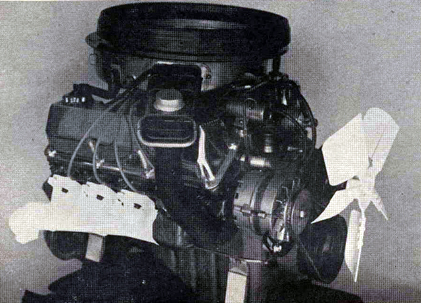 Weight of the “Cleveland” engine looks to be right around 580 pounds with manifold attached, but less flywheel; and transrnissions available will be a 3-speed all-synchro model as standard, with a torque converter automatic or choice of two four-speeds (close and wide ratio) as options. We realize that details are a little sketchy as reported here, but as we said near the start, we just got our first look and compiled the attending data some time before the “Cleveland” went into production. We were assured at that time, though, that further changes would only be in the way of refinements, the nature of which we’ll report to you at the earliest possible date. We thought you’d like to see it first in the pages of CC, anyway. Next month, we’ll be taking a long look at the L-M Division automobiles in which you’ll find the new “Cleveland” stormers, along with a complete report on all the other powerplants in the Merc line. 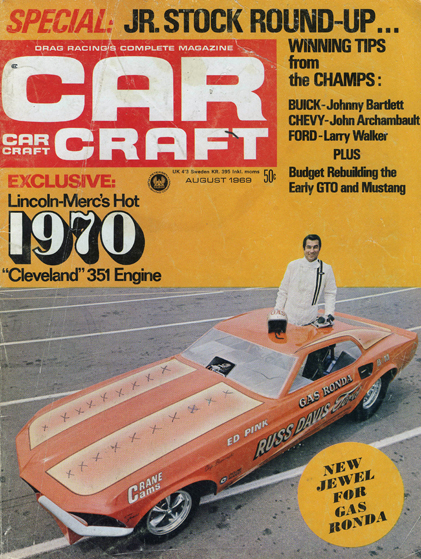 And, of course, we’ll be tracking down all the latest rumors on Merc’s participation in the performance world for 1970. As the man said, “join us, won’t you? 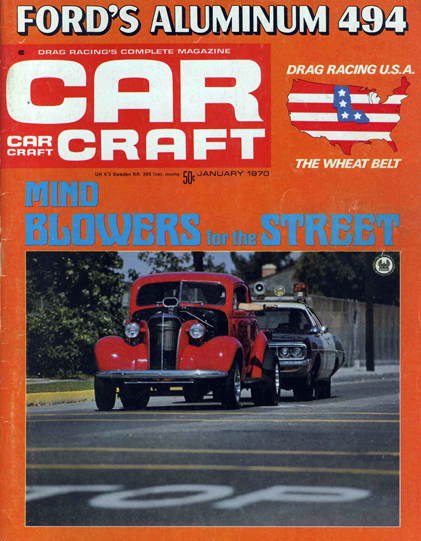 From Car Craft, August of 1969.